A disheveled HOBO is forcibly ejected from a run-down hotel. He lands with a THUD! on the curb. And stay out, ya bum! The HOBO tries to pick himself up and dust himself off…but he’s still working off last night’s bender, and falls back on his rear. He SIGHS. Down on your luck, my good man? The HOBO looks up, and sees a warm smile beneath a tiny moustache. It’s the most famous face in the entire world. Like…like too good to be true. Oh, don’t worry. There’s no catch. Well, just one. Ever been to Truckee…? The above exchange may seem far-fetched, but it’s actually not that far off the mark. 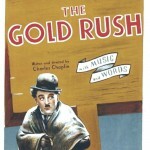 In 1925, Charlie Chaplin wrote, produced, and directed what many consider his greatest cinematic achievement: The Gold Rush. Though much of the film was shot on sets built at his own personal studio in Hollywood, to give a sense of verisimilitude he made the daring – and expensive – decision to shoot the opening scene on location. It depicts a seemingly endless stream of prospectors trudging through the snow into the mountains, with Truckee subbing for the treacherous Chilkoot Pass. The scene was one of the most elaborate shot in the late Silent Era, and called for upwards of 300 extras. Chaplin found most of them panhandling on the streets of Sacramento; men who, like the miners themselves, were desperate for a break. Sacramento might have seemed an odd place to go trawling for extras. But believe it or not, California’s Capitol had been a favorite location of Hollywood filmmakers for more than a decade by the time Chaplin came a-calling. Directors like John Ford, Cecil B. DeMille, William Wellman, and Michael Curtiz all found something in our fair town that added to their productions. And stars such as Gary Cooper, Will Rogers, and Jean Arthur all set foot here in the course of making a movie. 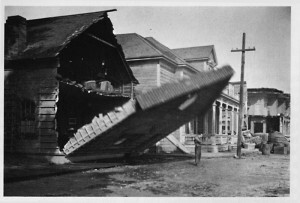 By most accounts, the first Hollywood production to use Sacramento as a location was Cameo Kirby in 1914. The film starred John Gilbert, one of the silent era’s luminaries. As with many of the films shot here, Sacramento was chosen for its rivers – and riverboats – which allowed Hollywood to recreate 19th century Mississippi on the West Coast. Between 1914 and 1934, no fewer than 30 motion pictures took advantage of Sacramento’s waterways and steamers. In fact, by the mid-20s, film production in Sacramento was so prevalent that some local investors decided to get in on the game, and founded the Sacramento Pictures Corporation. Their own advertisement described their first film, Temporary Marriage, as “a National success and a Money Maker.” But the follow-up, Listen Lester, must not have fared so well, as the company dissolved shortly after its release. But even as local filmmaking petered out, Hollywood continued to take advantage of our natural scenery. 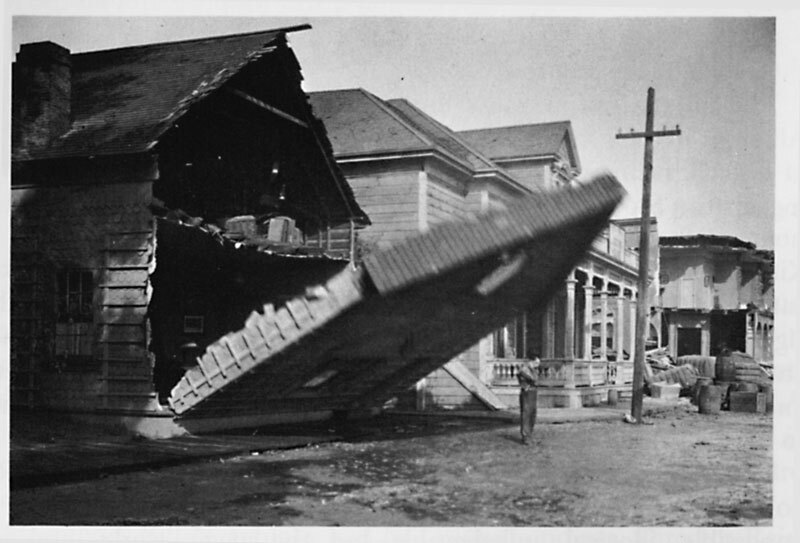 Buster Keaton – perhaps the first true “indie” filmmaker – recognized that there was only one place west of the Mississippi to recreate the Mississippi: Sacramento. Well, technically West Sacramento. For his last silent masterpiece, Steamboat Bill Jr., Keaton built an elaborate city set across the river, right where the Sacramento and American meet. Sadly, this being a Buster Keaton film, it all had to come down in the cataclysmic climax of the picture: trees, houses, storefronts…all gone. Beautiful as the scenery may be in and around Sacramento, truth be told, there was another reason why Hollywood stars and filmmakers were so eager to shoot here. To a great extent, the silent era overlapped with Prohibition, and Sacramento was infamous for being a “wet town.” Stars who spent their days under the hot Sacramento sun would retire in the evenings to one of the city’s many underground bars – often conveniently located right below their posh hotels. If that seems overly cynical, note that Hollywood’s trips to shoot in the capitol died out profoundly in the mid-’30s, just as Prohibition was being repealed. A coincidence? By the 1940s, Hollywood had all but forgotten Sacramento. But Sacramento had not forgotten filmmaking, and many talented amateurs took advantage of Super-8 and 16mm to keep the cinematic spirit alive in the capital city (click to read sidebar). As Sacramento waned as a location for filming, it was definitely on the rise as a place to see movies. By the 1950s J, K, and L Streets boasted nearly 30 movie palaces. And to call them palaces is not an overstatement. They were monumental and opulent, places where even lower and middle class families could feel like they were the “hoi polloi” for a night out at the cinema. Sadly, The Crest at 10th and J is the “last man standing.” It opened as The Empress, a vaudeville theatre in 1912, then became The Hippodrome and started screening silent movies, eventually converting when “talkies” emerged. The tragedy on September 14, 1946 when The Crest’s marquee fell, killing one woman and injuring a man, is well-known Sacramento lore. But the theatre was renovated and reopened in 1949, with a gala opening for That Midnight Kiss, starring Mario Lanzo (in his screen debut), Kathryn Grayson, Ethel Barrymore, and Keenan Wynn. Was the movie actually shot here? Um, no. But much of the cast came up for the premiere. Today, Sacramento is known – to be blunt – mostly as a town where you can get some really great shots of suburbs. American Beauty, the Best Picture winner of 1999, used aerials of our fair city for the opening and closing of the film. The rest? Hollywood backlots. Dirty Harry isn’t the only prominent director with a fondness for Sacramento: Cameron Crowe picked up some shots here for Almost Famous. Of course, director Joe Carnahan is a Sacramento native and made use of the city in his Blood, Guts, Bullets, and Octane. (Thanks, Joe!) Not too long ago – 2005 – Steven Spielberg graced us with his presence to take advantage of our beautiful vintage railcars for the film Memoirs of a Geisha. In the 1930s our paddleboats were the magnet; today it’s our trains. Sacramento may seem more of a “cow town” than a “film town.” But after a century of providing rivers, boats, trains, and, most importantly homegrown talent to Hollywood, perhaps we’ll finally come in to our own. In fact, maybe someday we’ll become known as the Zombie Capital of the World given our penchant for locally made horror movies (click here for sidebar). 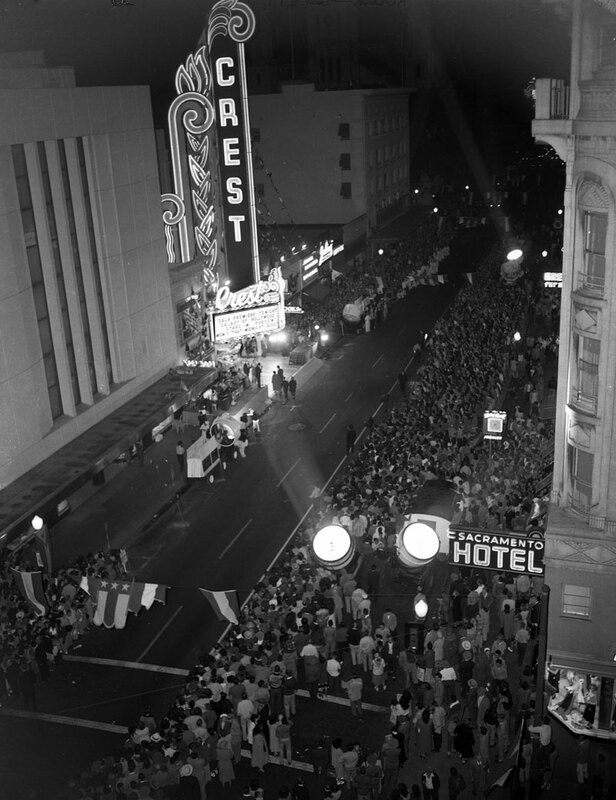 What an interesting look at the film history of Sacramento. I had no idea there was so much taking place back then. Well done.